University of Maine at Augusta received a B.
Washington Monthly's ranking of 222 out of 346 of Baccalaureate Colleges - Overall Rank was a major contributor to this grade. Strictly a commuter campus, the University of Maine at Augusta is easily accessible to its non-traditional students, nearly 75% of whom attend part-time students. Business administration is a popular major, but certainly not as fun as jazz and contemporary music. Describe the type of student who should not attend University of Maine at Augusta and explain why. Any student unwilling to travel for an in-state program. A lot of classes are online, but not all majors are completely offered online. Describe the type of student who should attend University of Maine at Augusta. Why? Students looking for specialized programs or online/distance-learning programs. Students for online classes must be able to manage time effectively. What is a typical University of Maine at Augusta student like? Describe the type of person that should attend University of Maine at Augusta. What are the top 3 reasons someone should attend University of Maine at Augusta? It is a very success driven school. They go out of their way for the students to be successful by finding the right fit for what they want to do after school. What was a typical University of Maine at Augusta student like in high school? Describe the type of person that should attend University of Maine at Augusta. As President of UMA, I want to welcome you to an institution that has transformed the lives of many deserving students. I believe our strengths are many, but five in particular stand out. First and foremost is our commitment to student access. Established to meet the educational and academic needs of students who were not being served by other academic institutions, UMA continues to be a place where anyone -- regardless of age, geography, family responsibilities or other circumstances -- can attend and thrive at a first-class university. Second is our commitment to academic quality. Throughout our history, UMA faculty have demonstrated an abiding commitment to academic rigor and quality, and to preparing our students for professional careers. Third is our commitment to innovation. A national pioneer in distance education, UMA continues to be a leader in the development and delivery of online courses, web streaming and other course delivery vehicles that make a university education available to anyone in Maine. Fourth is our commitment to student service. UMA faculty and staff pride themselves in their support of our students. That's not just something we say; surveys consistently demonstrate that students share our belief that at UMA student needs always come first. Fifth is our commitment to the community. Whether it be the city of Augusta or Bangor or any of the communities that surround our University College Centers, UMA works closely with civic leaders, businesses and educators to ensure that we are meeting the needs of the regions we serve. Thanks to the work and support of our faculty and staff, our alumni and students, and so many people in the communities we serve, UMA has enjoyed close to five decades of great accomplishments and progress. Still, I cannot help but believe that for UMA the best is yet to come. What are the top 3 things that students do for fun at University of Maine at Augusta? I'm am currently transferring to University of Maine at Augusta and am new to the school. According to school officials recreation is the most popular activities that lots of students do their. When not working on academics. A program that prepares individuals to assist in rehabilitation services under the supervision of physical therapists, occupational therapists, speech-language pathologists, and other therapeutic professionals, and to perform routine functions in support of rehabilitation. Includes instruction in roles and responsibilities of rehabilitation providers, basic function of the human body, disabling conditions, therapeutic skills, client management, and communication skills. A program that prepares individuals to assist professional librarians and archivists. Includes instruction in principles, systems, processes, and procedures of library and archive operation; library resources and services; processes of acquisition, cataloging, storage, and display systems; discovery and retrieval of requested materials; and management of books, periodicals, and other documents and records. The average student pays $8,379 for tuition, fees, and other expenses, after grants and scholarships. Total stated tuition is $6,510, in-state and on-campus, before financial aid. 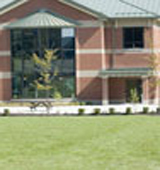 Learn more about financial aid at http://www.uma.edu/financialaid.html. Estimate the net price for you at http://www.uma.edu/netpricecalculator.html. The typical (median) early career salary of University of Maine at Augusta graduates is $32,900, according to Payscale. Want more info about University of Maine at Augusta? Get free advice from education experts and Noodle community members.